"I just upgraded my computer to Windows 10 and everything went smoothly except that a partition was attacked by an unknown virus. I had to format but lost important document files. Can I recover lost files from Windows 10?" Honestly speaking, though there're numerous Windows data recovery tools available on the market, only a few support data recovery from Windows 10 computer. Namely, you need to pick out a trustworthy one that enables you to recover deleted files back in Windows 10. And Windows 10 data recovery software is highly-recommended here. Windows 10 data recovery software is an all-in-one data recovery software that can recover photos, videos, music, documents, etc. up to 500+ types of files from Dell, Lenovo, Asus, Acer, Sony, Toshiba running on Windows 10 lost due to deleting, formatting, partition loss, virus attacking, improper operation or other unknown reasons. Note: It supports all scenarios that lead to data loss, like formatted/corrupted hard drive and even hacker attack. You can free download the software to PC first and follow the tutorial below to see how to perform deleted file recovery in window 10. It's so user friendly that only 3 steps you can easily recover lost photos, videos, music, documents and other files from Windows 10. Step 1: Run Windows 10 data recovery software, then select the file types you want to recover and click "Next" to proceed. Step 2: Choose the disk where you lost your data and click "Scan" to initiate scanning process. Note: If you lost the partition, select "Lost Disk Drives" instead. Step 3: After scanning, the software will list all recoverable files by category as the picture below. Preview your target files and click "Recover" to restore files on Windows 10. To ensure the 100% of data recovery from Windows 10 computer, there're 2 things you need to bear in mind. Do not install the software to the same partition where the lost data once located in case overwrite the previous data. Do not write any data on the same partition that you want to retrieve deleted files. 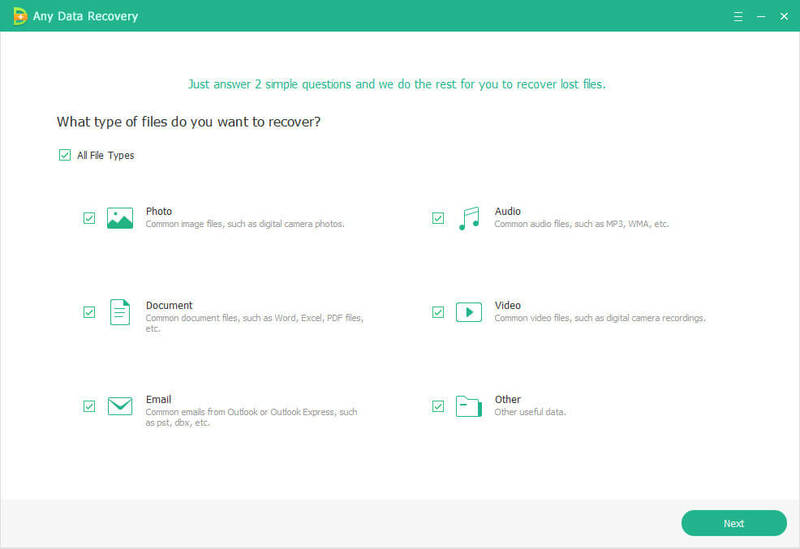 If you want to recover lost data from removable media, please make sure those data are recoverable by checking if the removable device can be detected by PC. 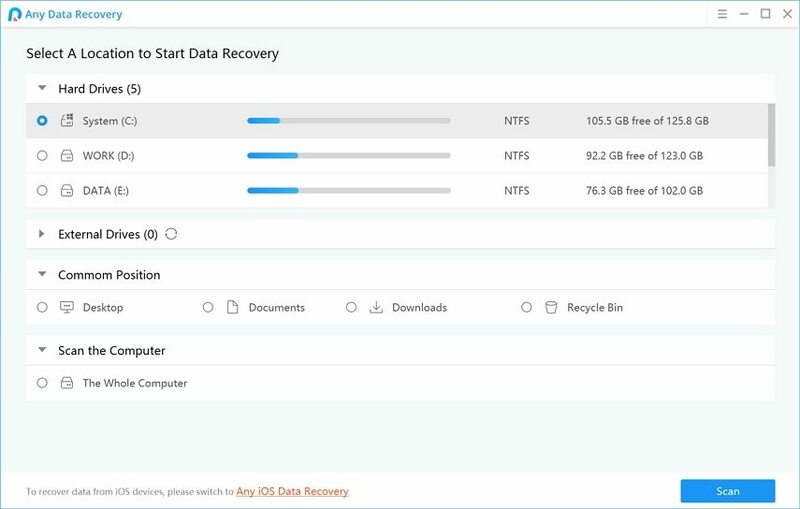 FYI, you can also utilize free data recovery software for Windows 10 if the lost/deleted files you want to retrieve are less than 500MB.